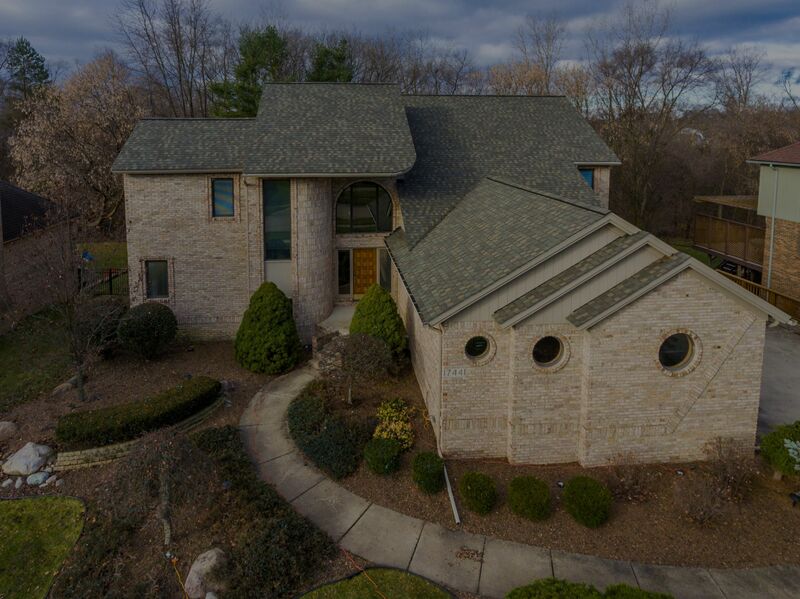 Fall in love with this unique architectural gem located in Northwest Livonia’s Pine Creek neighborhood. 5 beds and 3.5 baths are only a few of the spectacular details this contemporary home has to offer. The 3,659 sq.ft. home is the epitome of luxury with its’ spacious two-story foyer and great room. The finished walkout lower level backs to a private wooded setting, while the 3-car garage gives you an ample amount of storage space. The inviting family room has an elegant feel with vaulted ceilings and gorgeous gas fireplace. The kitchen is complete with a breakfast nook and upgraded Kitchen Aid stainless steel appliances. Vaulted ceilings, natural light, and a large walk-in closet add even more space to an already generous master bedroom. The master bathroom has a spa feel with ceramic flooring and a jetted tub. A door leads to the deck, creating a private oasis with scenic views.